Pastel Furniture dinette sets are attractive in looks and made with quality materials. The Pastel chairs are being enjoyed in beautiful homes across the world. 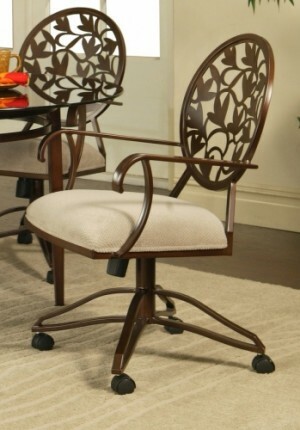 The selection of styles and comfort of the chairs contribute to the popularity of the brand. The well known atrium dining chair is available in a standard 4 leg design and also can be purchased as a swivel tilt chair. Browse the Pastel dinette chair collection on Dinette Online.